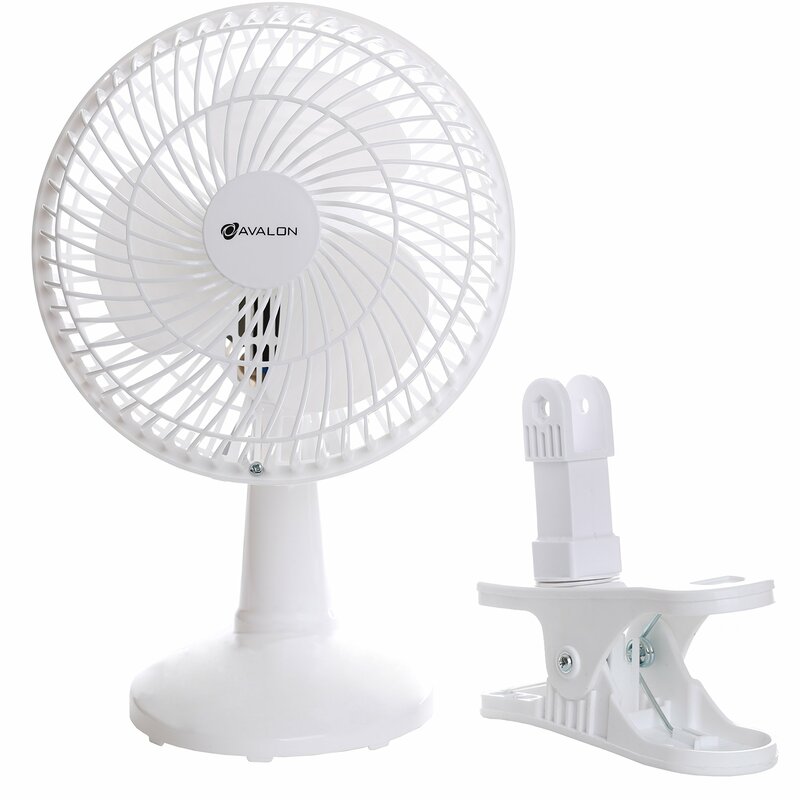 The Avalon 6 Inch Clip-On Fan with Attachable Table-Top Base is an energy efficient personal fan with innovative design. The fan has dual features. It can be used as a clip-on fan or as a table-top fan. To use as a table-top fan, simply loosen the butterfly screw on the fan head, then attach the base to the fan head ad tighten the butterfly screw. To use as a clip-on fan, loosen the butterfly screw on the fan head, then attach the clip to the fan head ad tighten the butterfly screw. The clip can accommodate a 1.06 inch to 1.65 inch thick structure. The fan has two quiet energy efficient speeds. The fan head can be adjusted to all angles making it so much more convenient to use. This fan has been ETL listed and employs overload safety protection with a fuse in the plug.